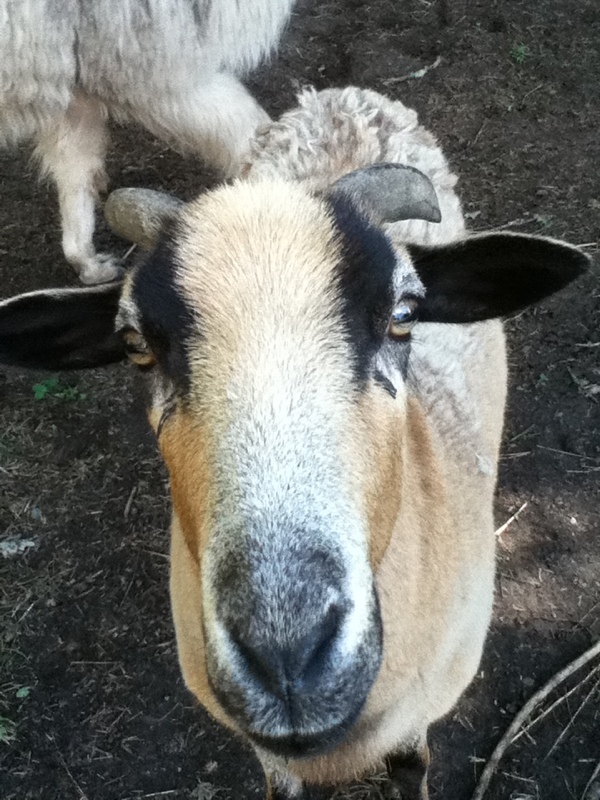 BaaBaa is a Barbados Blackbelly Sheep. These sheep are raised for meat, not fiber. Not that we plan on eating him; most animals around here are on a retirement plan. Many people think he is a goat because of his small horn buds, but I think they are just a byproduct of a bad de-horning session as a lamb. Seems that he has learned some bad habits from that goat Feta! BaaBaa was a bottle raised lamb that we adopted by accident. 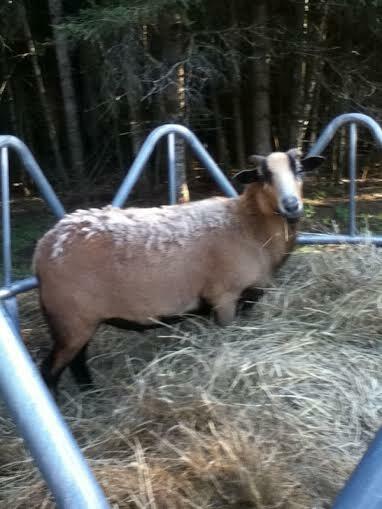 See, I was adopting three llamas….I didn’t know they came with a sheep. Hmmmm…..
BaaBaa is still sweet. Maybe she can teach Feta some good habits? !